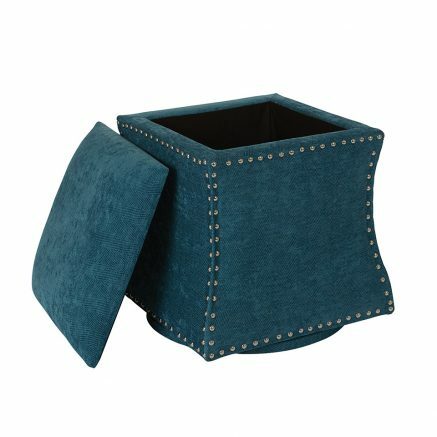 Make the most of your space with this chic multipurpose storage ottoman. Ideal for the busy family living room in need of a little organization. Clever hidden storage allows you to easily tuck away books or remotes for easy access, while the plush top is perfect for resting your feet or extra seating for the kids. Accented with nailhead trim for a sophisticated look. Make your living room comfortable with the Avenue Six St. James Swivel Ottoman.